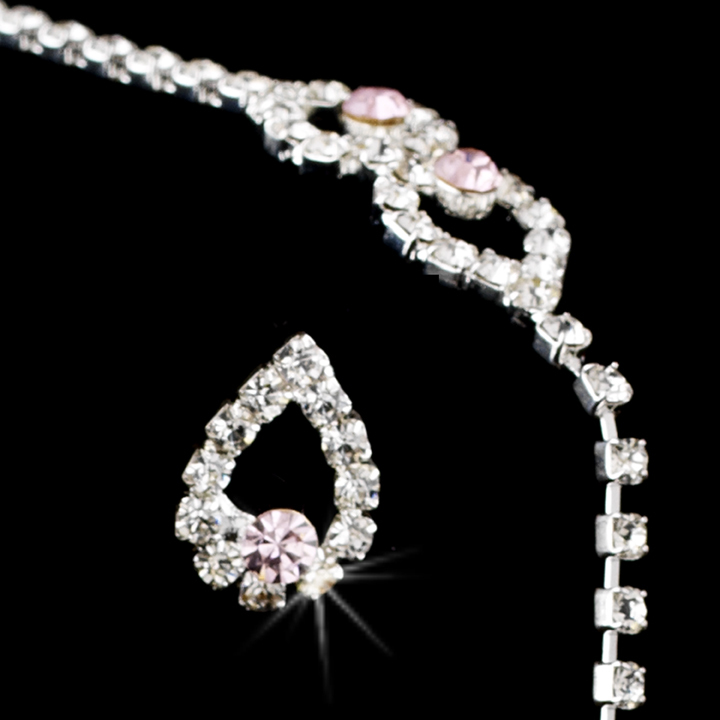 Featuring a breathtaking arrangement of pink and crystal rhinestones, this luminous necklace and earring set is an artistic and lovely addition to your classic or modern wedding. The silver plated necklace measures 16" in length, followed by a 3" extender and lobster claw clasp. Matching bracelet measures 7" in length with a 2 1/2" extender; Matching earrings measure 3/4" long.